1:1 Blended Learning Program Expands! Felicity-Franklin School District held two parent meetings on August 17th during our annual Open House. 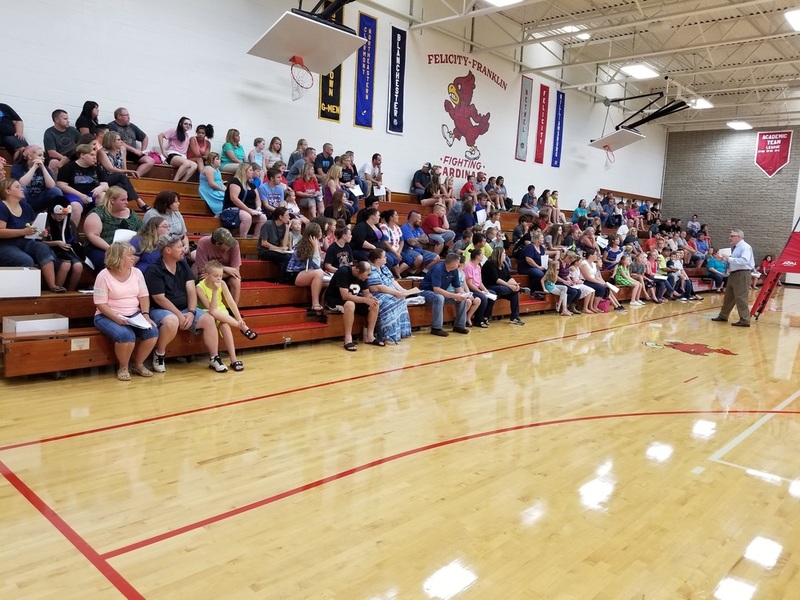 Parents packed the Competition Gym during the 5:30 p.m. and 6:30 p.m. meetings to hear more about the district 1:1 Blended Learning Program. Our superintendent, Mr. Dave Gibson shared important information with parents of students in grade 5-12 regarding all parts of the program. Our district received a Straight A Grant for technology related infrastructure improvements, students devices, and blended learning professional development for teachers. Chromebooks were distributed to students in grades 5-12 during the second day of school. Parents can pay the Take Home Payment and the Chromebook Protection Plan payment through Final Forms. Last year, the program included students in grades 6, 9, and 12. This is our first year to be 1:1 with student devices in grades 5-12! Copyright © 2019 Felicity-Franklin Local School District. All rights reserved.